This note came back to us in Piper’s homework folder yesterday. Apparently, Sissy was helping Piper with her homework the night before. 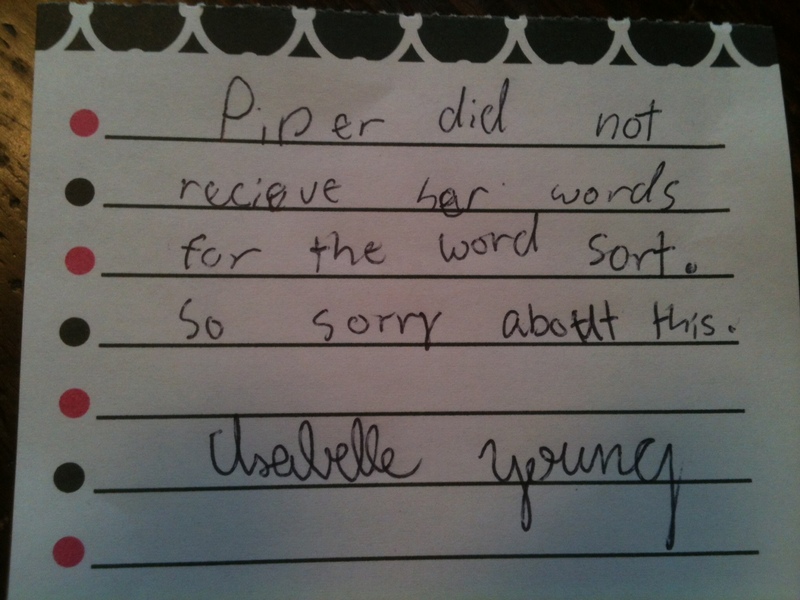 Piper didn’t receive words for the word sort assignment. Sissy took it upon herself to communicate appropriately to the teacher. Thank goodness someone is parenting the Piper. 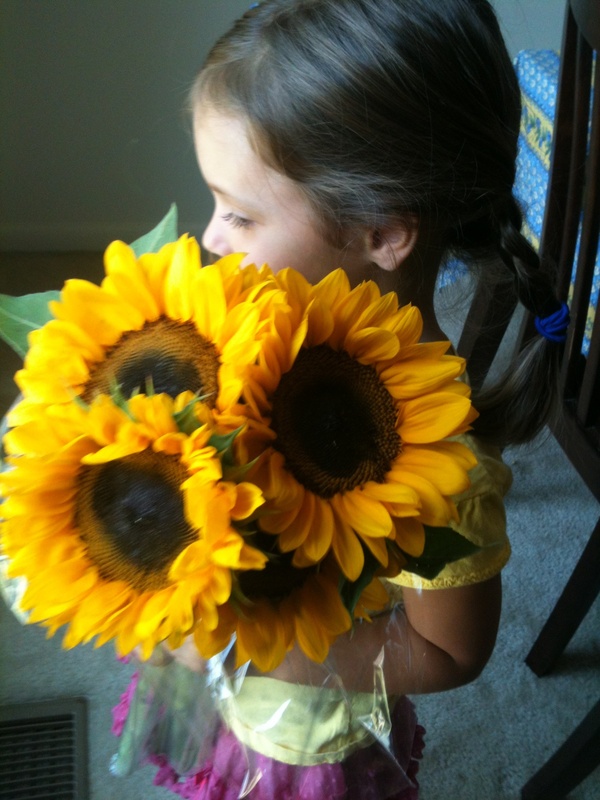 When I grow up, I want to be Sissy.